PHOENIX - March 11, 2019 - PRLog -- Join Lennar in celebrating the Grand Opening of a new home community in Phoenix, The Arbors, on March 23rd from 11 a.m. to 2 p.m. Bring the family out for an exciting event with complimentary treats and tour the professionally-decorated model home showcasing modern designs such as Lennar's multigenerational Next Gen® layout and a high level of Everything's Included® features. Make sure you mark your calendar and set a reminder because you're not going to want to miss this event! "We're very excited to Grand Open this sophisticated community and invite you to come out, tour the model and discover the home of your dreams," said Alan Jones, Division President for Lennar Phoenix. "The Arbors offers home shoppers an incredible opportunity to purchase a brand-new, Everything's Included® home in Phoenix set in a gated and intimate neighborhood of only 31 homesites." New homes at The Arbors start from the low $400s. Find a home that meets your lifestyle with a distinct collection of four single-story designs ranging in size from approximately 2,482 to 3,184 square feet including four to five bedrooms, three to four bathrooms and three-bay garages. Floorplans are designed to reflect the way people choose to live today and feature open living areas that make entertaining and relaxing easy, covered patios for outdoor living, upscale kitchens with large islands, spacious secondary bedrooms for the kids, enviable owner's suites complete with luxurious bathrooms, flexible spaces and much more per plan. 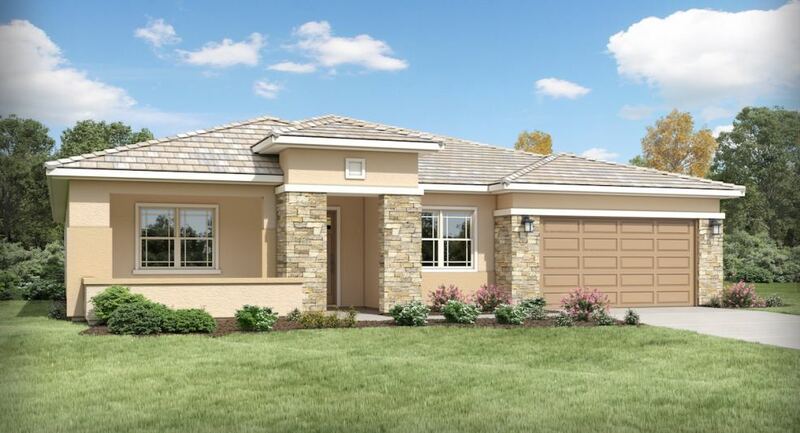 Additionally, Lennar's innovative Next Gen® – The Home Within A Home® design for multigenerational living is available. The layout features a private Next Gen® suite attached to the main home with its own separate entrance, living area with kitchenette, spacious bedroom, bathroom and even car garage. This design allows multiple generations to live together comfortably and privately under one roof, perfect for moving your elderly parents in or for long-term guests. Best of all, the popular upgrades and features you want in your new home come included at no extra cost through Lennar's signature Everything's Included® program. From luxury countertops, upgraded and high-quality cabinetry, home automation technology, stainless steel appliances and much more, all come as standard and help add tremendous value and style to your Lennar home. The Arbors (https://www.lennar.com/new-homes/arizona/phoenix/phoenix/...) offers a wide range of amenities to inspire residents to get out, connect and make the most out of their community. There's plenty of open green space to enjoy throughout, a community garden to test out your green thumb, a park with play structure that the kids will love and ramada with seating for special events. Residents are also just a short drive away from many of the Phoenix metro area's best recreation, entertainment and shopping. Prospective home shoppers are encouraged to attend the Grand Opening event on March 23rd located at 6413 South 25th Place in Phoenix, Ariz. 85042. For more information, visit www.lennar.com/phoenix or call 800-864-1058.